That sad trombone you hear is the sound of NASA’s attempt at a history-making spacewalk falling apart. After conducting the first spacewalk this week, astronaut Anne McClain noted that the large suit she was wearing did not allow her to move effectively. “McClain learned during her first spacewalk that a medium-size hard upper torso – essentially the shirt of the spacesuit – fits her best,” according to a statement from NASA. Because only one medium-size torso would be ready by the planned Friday spacewalk, NASA astronaut Christina Koch will use the suit. 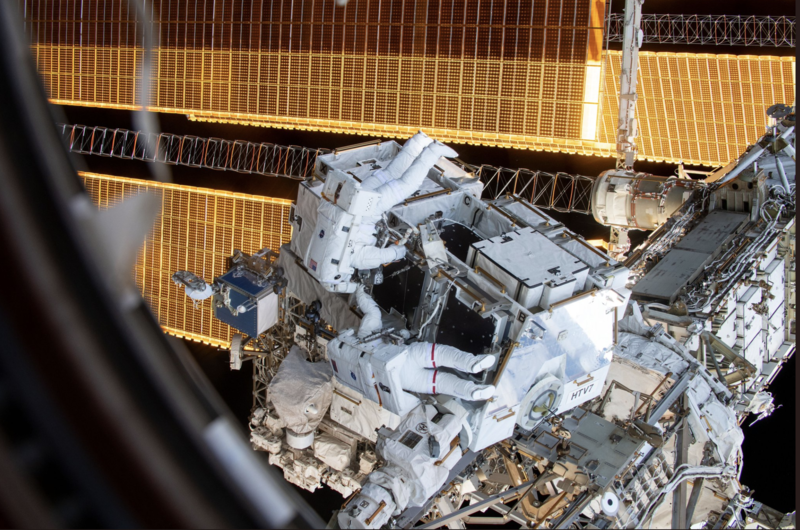 Koch will work with astronaut Nick Hague to install lithium-ion batteries for one pair of the station’s solar arrays. The predicament would be funny if it wasn’t so tragic. Even when some of the world’s brightest minds work to overcome sexism, their inability to make basic allowances for gender differences get in the way.